In a bid to stand out from the many Asian restaurants in Melbourne's CBD, eateries are marketing their food with a twist. 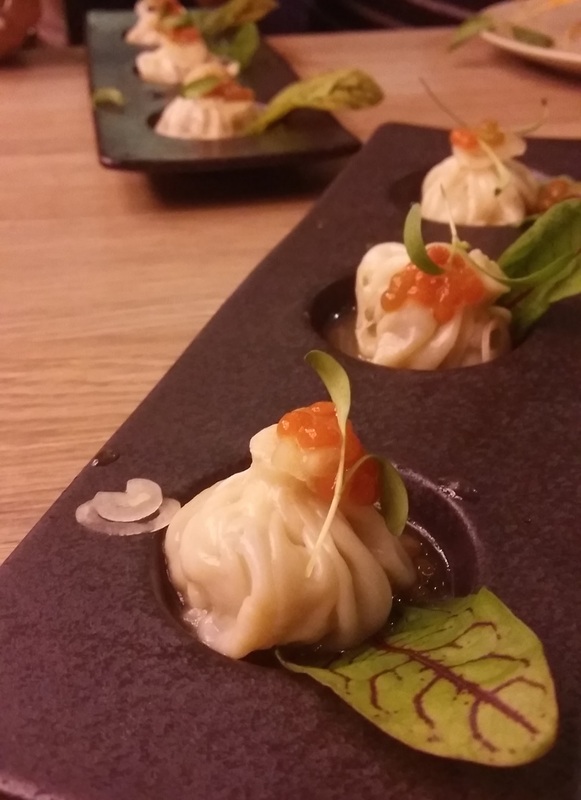 You'll find many new places have put their modern spin on traditional cuisine. Here are a few below. Ponshu Kikoro tells the world that they are a Japanese restaurant, but a close look at the menu shows a few interesting things. I couldn't go past some fried chicken and their lunch menu had a great combo. 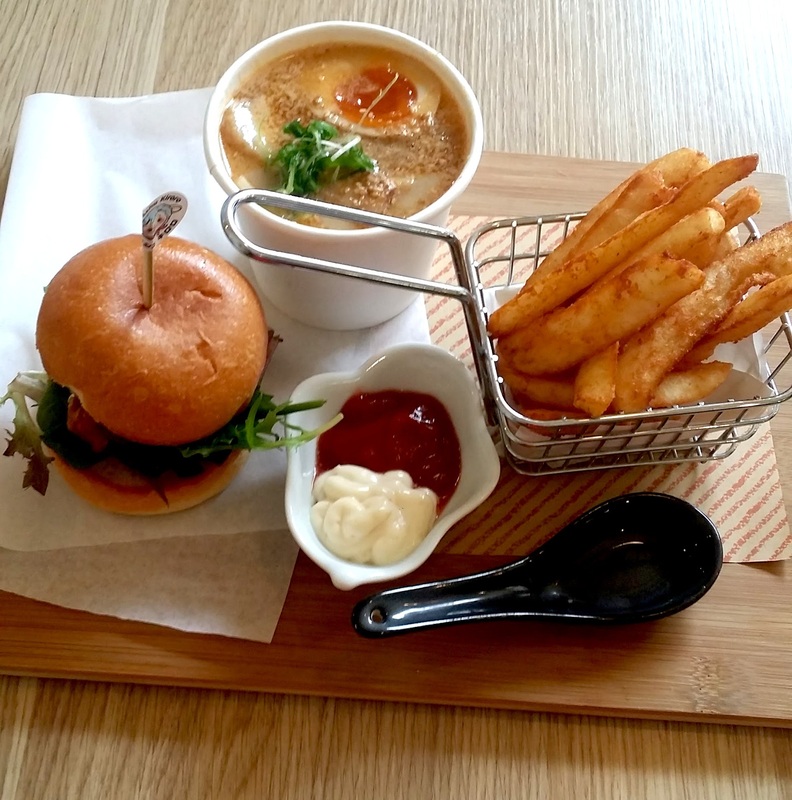 A mini chicken burger, along with a cup of ramen and chips ($15). It didn't look like much at first, but the ramen soup really fills you up. It even included an egg, which I thought was pretty good considering most ramen places charge you an extra $2 for an egg. Even better, the chips were fat chips, which is my personal preference. 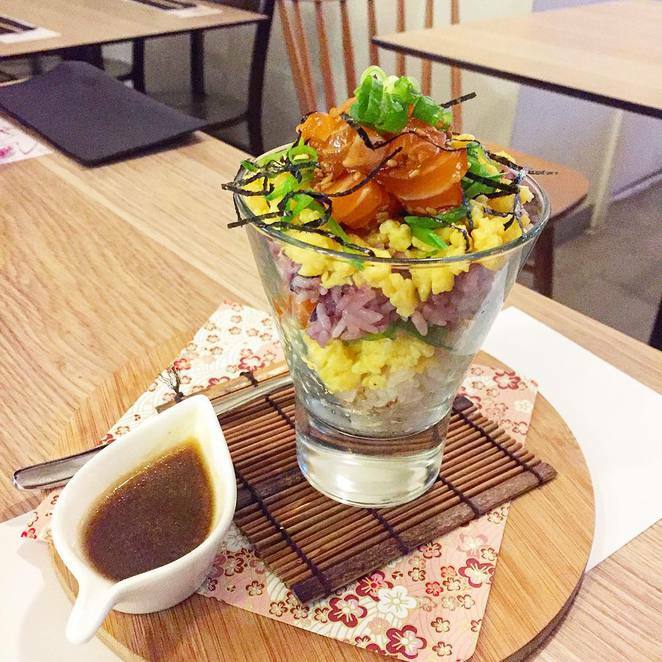 If you're after something a little healthier, they also do an interesting sushi parfait, which is like a deconstructed sushi in a little dessert glass. Hochi Mama is located in a laneway of funky eateries including Rice Paper Scissors and Shimbashi Japanese Soba. 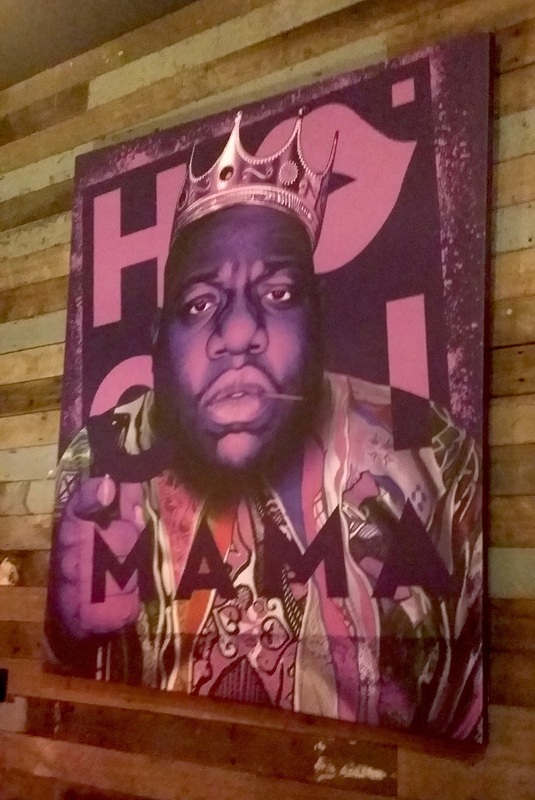 The Vietnamese restaurant definitely exhibits a modern atmosphere with a big mural of rapper Notorious B.I.G on the wall. They have some common Vietnamese menu items such as curry and braised pork belly, but one of the most interesting dishes is the pho (Vietnamese noodle soup) dumplings. I've had xiao long bao (Chinese soup dumplings) with various flavours including curry, so I thought pho broth was a great idea. They were tasty but a little small - I would have enjoyed more of that broth to slurp up. 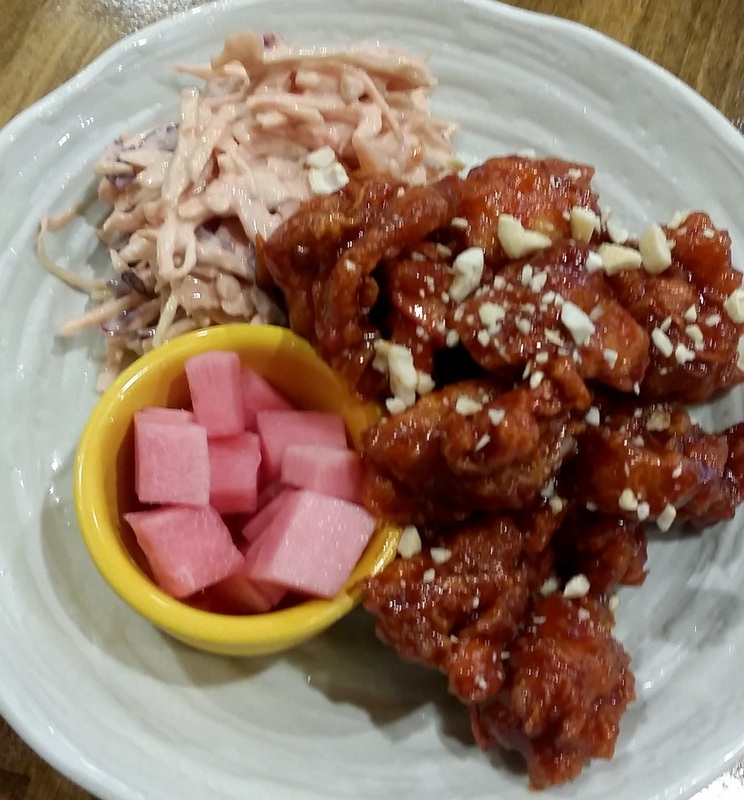 Korean fusion brings to mind a lot of things - I've found a lot of Korean restaurants like to put a Mexican twist on dishes or combine it with other Asian cuisines. 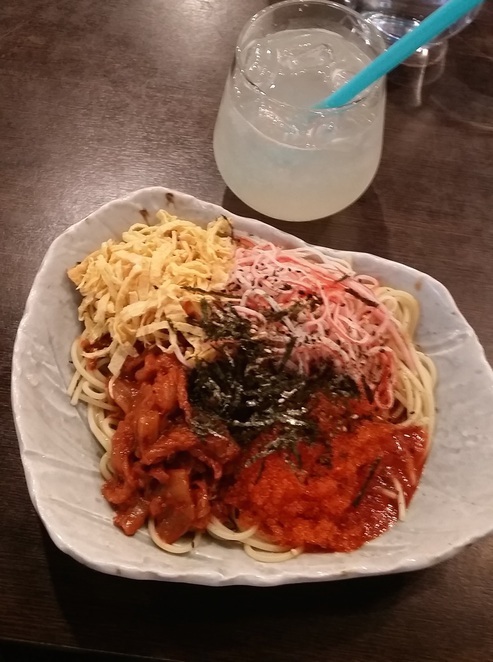 I remember when I first visited Oh Deer they had a spicy spaghetti for lunch with crab meat and strawberry fried chicken - very interesting. I think they've refined their menu since then so look out for their new items. 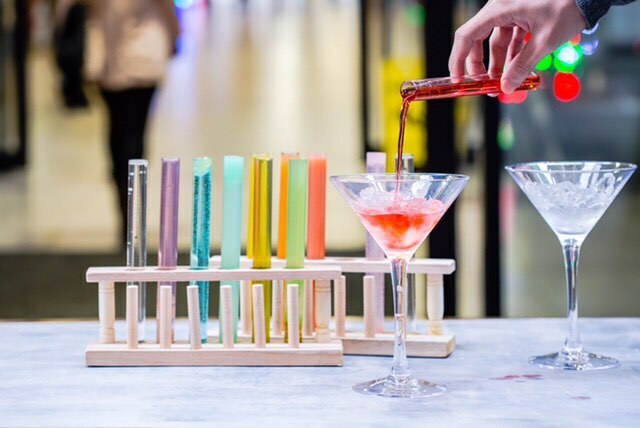 Their cocktail tube set and beef tartar seem especially popular! Take a look at their Instagram for more pictures. 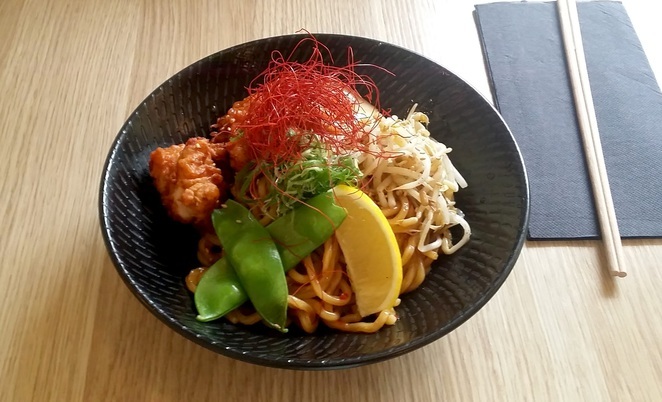 Melbourne continues to deliver with modern takes on classic cuisines. 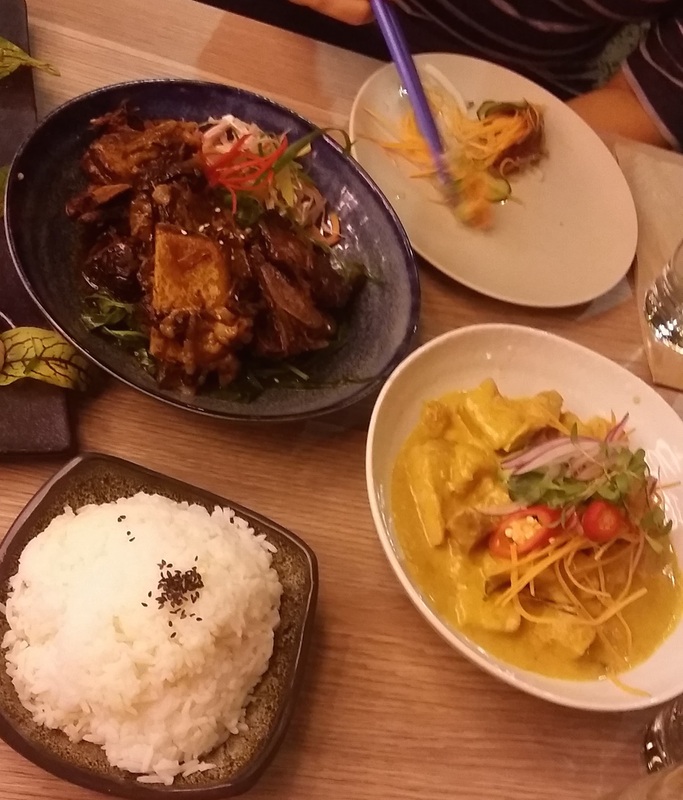 It truly reflects the multiculturalism in the city and keeps the dining scene exciting for new and regular diners! Let us know what your favourite fusion places to eat are in the comments! Great article, Mon - well done with the 'big' milestone!